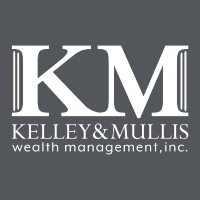 Michael Mullis serves as managing partner and wealth manager at Kelley & Mullis Wealth Management, a Birmingham, Alabama-based financial planning and investment firm. Throughout his tenure with the firm, his success in the financial industry has been recognized on numerous fronts. In February 2017, Michael Mullis was named one of Barron’s Top 1,200 Financial Advisors for the third consecutive year. Each year, the financial magazine Barron’s names the top advisors in the industry. Its rankings are compiled into four lists, which are the Top 100 Women Financial Advisors, the Top 100 Financial Advisors, the Top 100 Independent Advisors, and the Top 1,200 Financial Advisors. 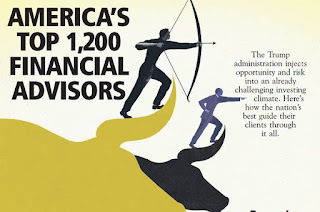 Barron’s developed the Top 1,200 Financial Advisors listing last in order to make it more inclusive, as the shorter Top 100 lists tended to be dominated by individuals from a few wealth-concentrated states. Remedying that disparity, the Top 1,200 list evaluates advisors on a state-by-state basis and ranks the top financial advisors in each state. Barron’s selection methodology involves a close consideration of each advisor’s generated revenue, assets under management, quality of practice, regulatory record, and philanthropic work. The selection committee examines internal company documents, regulatory records, as well as a large amount of information provided by the advisors themselves. The committee selects at least six advisors from each state, after which they determine additional advisors in proportion to the state’s population and asset accumulation. The Barron’s lists are generally considered to represent the top 1 percent in the industry.